Sneaky Special officially dropped his hot single on Worrydem blog titled "Makachuku" which already been trending on spotify, itunes and others for a while now. Sneaky Special is a lagos based popular Singer who started in Cross River, his consistency and focus has really took him places hence in his previous TV interview in Abuja he advised upcoming artiste to adopt creativity, consistency and believe in God till their dream come true. 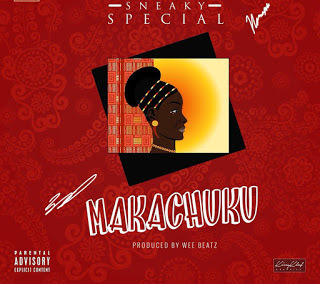 Sneaky Special was recognised on july as one of the most featured artiste in lagos after which he dropped "Makachuku"
Download, share and comments below!! !